About a week ago I had a work meeting in Rotterdam. Before and after the meeting I had some spare time so before I shopped a bit. And after the meeting I went to a tattoo shop to get to know the guys there because I hadn't seen them, ever. They turned out to be cool and very nice guys so we made some appointments for my tattoo. I want to get a 3/4 sleeve on the right arm. And I'm sooooo excite!!! All combined in one tattoo with gradual transitions. My first appointment will be on the 17th of May so that's a long way ahead but that's fine because I can get used to the fact that I will have a 3/4 sleeve in the summer. Also I've researched a lot but now I have more time to collect more pictures for the design I have in my head. I can't wait to get it done! Omg geweldig idee! Ik vind het echt super vet!! Ik ben echt benieuwd naar het eindresultaat! Ik hou je blog in de gaten. Wauw! 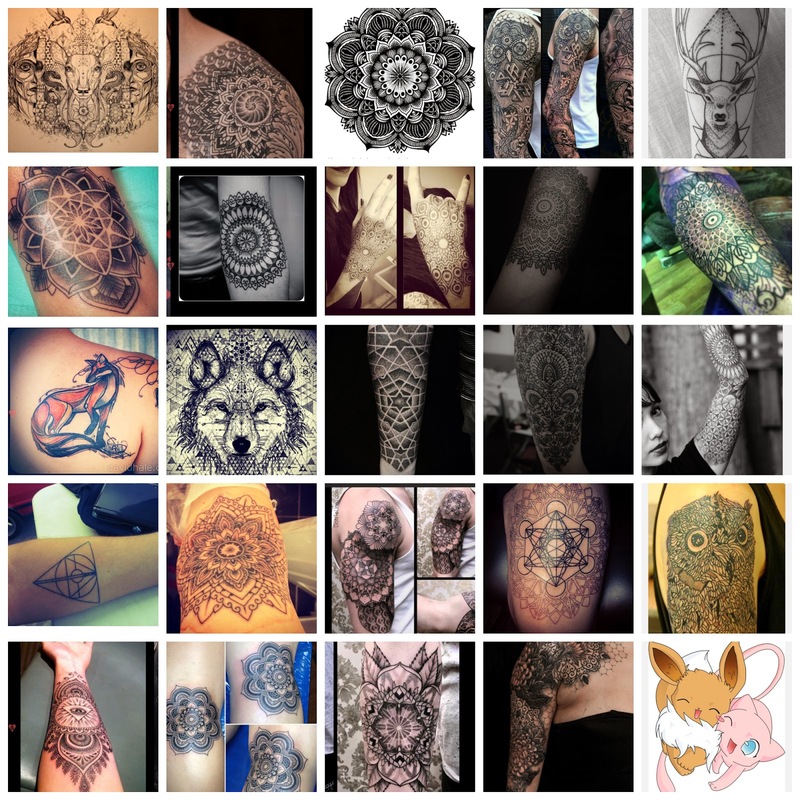 Ik vind wolven/herten tattoo's ook echt prachtig. En een pokémon of Deathly Hallows sign is ook echt tof!